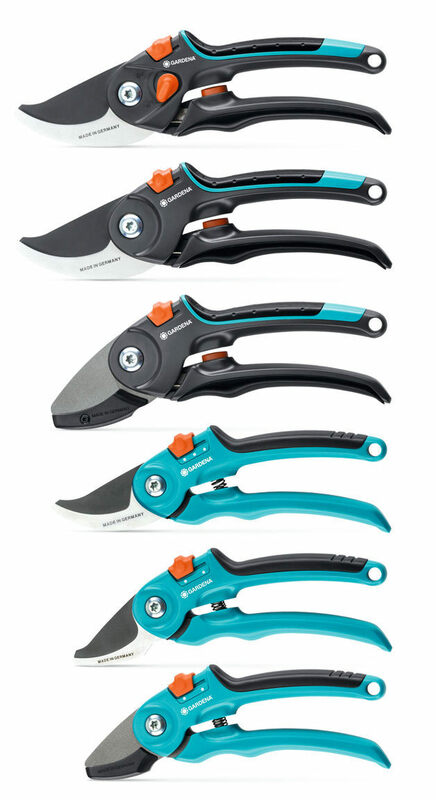 This secateurs series follows the design objective of implementing ergonomic product features and a visual appearance in line with the brand identity. The curved contours of the handles provide a firm grip while the soft material on the upper handle increases comfortable handling. The rounded forms are con-sistently emphasised as a unique brand characteristic: even the empty space between the levers forms a semicircle. Further details, such as the ribs, the dots on the handles or the hole for a wrist strap, are all based on the geometrical form of a circle.